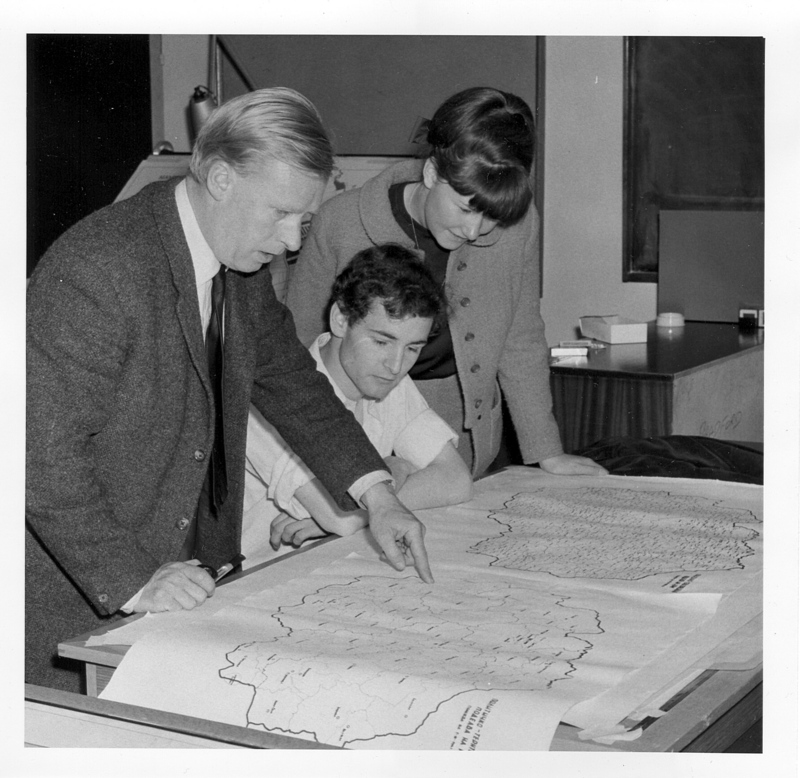 I just came across this lovely blog post about Fred Singleton, by Mark Andrews, who was a student at Bradford University during the 1970s. Fred Singleton was head of Yugoslav studies at the University. Mark Andrews found Fred’s teaching and his enthusiasm for Yugoslavia and its people truly inspiring and this comes across in his post which neatly summarises Fred’s life and interests. Fred Singleton helped in the reconstruction of Skopje after the 1963 earthquake, with a group of Bradford Institute of Technology students. Special Collections contains objects presented to the students by their hosts and Fred’s own, very large, archive. The online Oxford Dictionary of National Biography now includes an entry on Dimitrije Mitrinovic by his biographer Andrew Rigby. Mitrinovic lived in England from 1914 till his death in 1953 and. although he never became a British citizen, he was deeply involved in artistic and literary circles. The online DNB can be accessed by members of subscribing institutions – note that many UK public libraries offer their members remote access. “Dimitrije Mitrinovic”: a biography / by Andrew Rigby. A new(ish) book relating to one of the most fascinating individuals whose archives are represented in Special Collections at Bradford. In the early years of the First World War, a young Serb, Dimitrije Mitrinovic, appeared in the intellectual and artistic circles of London, arguing that the way to a harmonious world lay through the creation of a “world consciousness” in the minds of individuals. He launched a welter of groups, movements and other initiatives to promote and embody his vision of the world as an organic whole. Andrew Rigby describes in this book the substance of Mitrinovic’s vision and the fascinating story of efforts to translate it into practice. Available from booksellers, price £9.99 (ISBN 01850723346) or direct from the publishers Sessions of York. Other links: Mitrinovic Archive, New Atlantis Foundation (set up after Mitrinovic’s death to promote his ideas). The city of Skopje in Yugoslavia, now the capital of the Republic of Macedonia, suffered a catastrophic earthquake on 26 July 1963. The March 2008 Archives Hub focus on volcanoes and earthquakes shows online two photographs of the devastation in Skopje from albums presented to a team of students from the Bradford Institute of Technology (now the University of Bradford) who assisted in the reconstruction efforts.